There’s something about pasta on Sunday that makes me smile. Since Sunday pasta is not a childhood memory of mine, it must stem from living with an Italian for almost 25 years. We often had a big Sunday Dinner if my father was home from the firehouse, but it could also have been a simple spaghetti with meat sauce if he was working. And a homemade dessert – either way. It’s funny how food triggers memories. My mom would often make a thin spaghetti sauce and then cook the spaghetti right in the sauce – the starch from the pasta thickening the sauce. And from watching America’s Test Kitchen, it’s a thing, again. Mom was always ahead of her times. 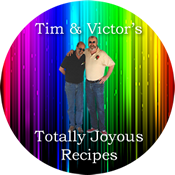 Victor, of course, makes his own sauce and I can it – about 15 quarts at a time. I understand why jarred sauce is so popular at the grocery store – it really is convenient. I just don’t like any of them. I am totally and completely spoiled always having homemade sauce at my disposal. We’re down to the last quart of Victor’s sauce so I’m going to have to get some tomatoes really soon. He needs to cook up another batch – it’s something I really hate being out of. 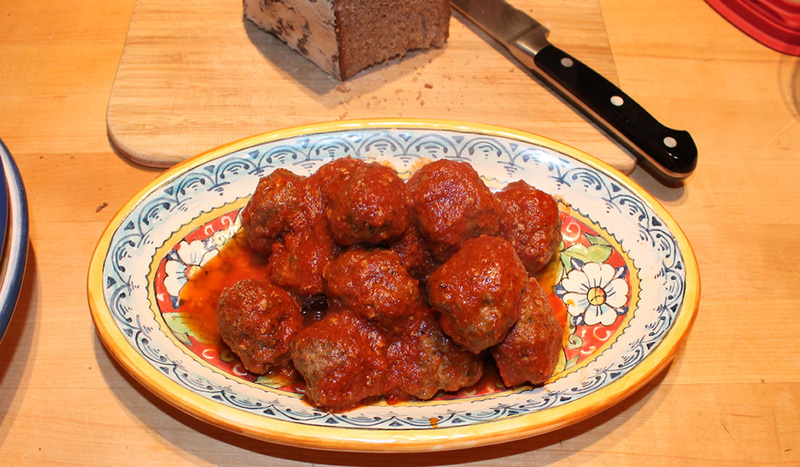 The meatballs, tonight, were perfect. We’ve adjusted to eating 2 ounces of pasta at a meal. Victor has me weigh it out because he still thinks in terms of a pound of pasta for two people. That’s the Italian version of Sunday Dinner – along with meatballs, sausages, a lasagne or two, maybe some baked ziti. Lots of bread to dunk. And a nice salad. I miss it and I don’t. I love all of the various foods and flavors. I don’t miss the bloated feeling after.